News TV Channel / The South African Broadcasting Corporation (SABC) is the state broadcaster in South Africa, and provides 19 radio stations (AM/FM) as well as 5 television broadcasts to the general public. 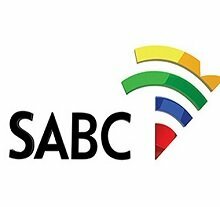 It was also known officially in Afrikaans as Suid-Afrikaanse Uitsaaikorporasie (SAUK), but this term is now only used by the SABC when referring to the Corporation in the spoken word on SABC2's Afrikaans TV news and on the Afrikaans radio station Radio Sonder Grense. However, the Afrikaans newscasts on SABC2 use "SABC Nuus" instead of "SAUK Nuus". The term is still used by other Afrikaans language media. Opposition politicians and civil society have often levelled criticism at the SABC, accusing it of being mouthpiece for the ruling African National Congress; during apartheid it was accused of playing the same role for the previous National Party government.